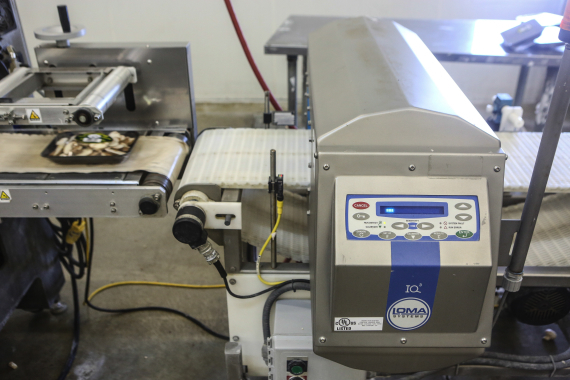 Automated weighing equipment helps put mushroom grower on path to future growth. There is no shortage of wonderful surprises sprouting up at the Piccioni Bros. Mushroom Farm Ltd. facility in Dundas, Ont., about an hour’s drive west of Toronto. Perhaps none more so than the fact that the mushrooms there aren’t grown in a dark, smelly environment—vaguely reminiscent of the old hockey bag some of us keep down in the basement, wisely so. 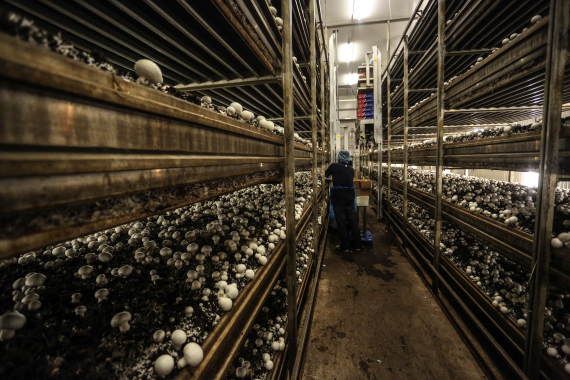 Instead, the mushrooms grown by the family-owned company currently celebrating its 50th anniversary are cultivated and harvested in a well-lit, temperature-controlled environment maintained at a comfortable ‘room’ temperature. The other urban legend tossed out the proverbial window is the smell. There is none, save the aromatic scent of mushrooms that disguises the pungent stench of compost used to grow the mushrooms. Growing quality mushrooms commercially since 1964, the Piccioni Bros. Mushroom Farm is nowadays operated by the dynamic brother-sister duo of Lorenzo and Anna Maria Piccioni. 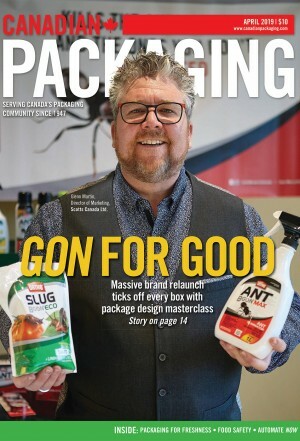 “We have never thought of changing the company name, firstly out of respect for our father and uncle and also for the fact that it is a well-known entity in the industry and has always been associated with quality product,” Lorenzo Piccioni told Canadian Packaging during a recent visit to the farm. Along with his sister Anna Maria, Lorenzo Piccioni co-owns the Dundas, Ont.-based Piccioni Bros. Mushroom Farm. “It was started by my uncle who had asked our dad to join him in this venture,” Piccioni recalls. As the years passed and the business became successful, it was eventually sold in 1985 to Leaver Mushrooms as the brothers thought of retirement. But with mushrooms so ingrained in their blood, they restarted a six-room “hobby farm” to grow oyster mushrooms to keep themselves busy. “When our uncle decided to retired in 1990, my sister and I became involved in the business, continuing with the oyster mushrooms until 1992, when we became the lead hands at the company,” says Piccioni. With an estimated 14,000 different types of mushroom, the so-called standard for the name ‘mushroom’ is usually reserved for reference to the white-button mushroom, which along with the brown cremini mushroom is what Piccioni Bros. produces en masse. The white-button mushroom is the most popular mushroom variety in Canada, explains Piccioni, and combined with the brown cremini mushrooms, account for 90 per cent of the commercial mushroom crop in Canada with shiitake, oyster, king oyster and enoki varieties encompassing the remaining 10 per cent. According to industry estimates, Canada produces about 85,000 tonnes of mushrooms annually with total farm gate value of about $300 million. “Mushroom farms in Ontario make up about 50 per cent of the Canadian mushroom industry,” says Piccioni, with British Colombia accounting for about one-third. When Piccioni Bros. decided to get back into cultivating the white-button mushrooms again in 1992, the popularity of the button mushrooms convinced him that there was still a larger demand for the product. So much so, that they had to add more growing rooms in 1995, and in 1997, and again in 2005. Today the company operates a total of 12 cultivation rooms measuring 300 square meters each, and six rooms built in 2011 at 400 square meters apiece. All told, these rooms help the farm produce some 85,000 to 90,000 pounds (38,400 to 40,800 kilograms) of mushrooms per week. According to Piccioni, that last expansion to construct the six growing rooms cost upwards of $2.5 million, a number that he says demonstrates just how much investment is needed to grow the mushrooms commercially. “Business is growing, so we’re now in the midst of adding another six of the large rooms to expand our production to meet customer demands,” Piccioni points out. The growing rooms are monitored by individual climate-controlled temperature systems from Fancom BV, which, along with Dofra BV water controls makes sure the entire growing process for the mushroom is carefully monitored to ensure optimum growth in a very safe environment to produce the high-quality mushrooms, Piccioni explains. “Regardless of the type of farm, ensuring the efficient supply of water and the precise amount of water is key,” admits Piccioni. 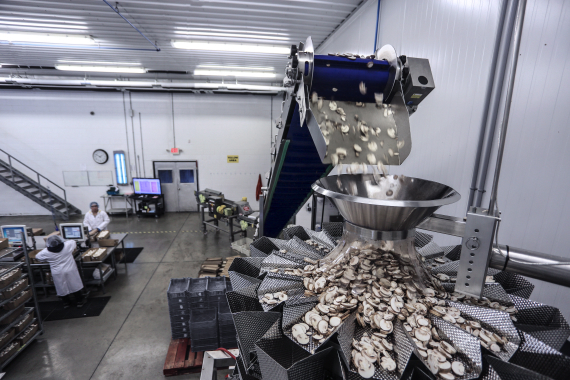 Sliced mushrooms move up an incline infeed conveyor (top) and down into a 14-head PrimoCombi weigher outfitted with 2.5-liter buckets—both from WeighPack Systems. “In mushroom farming, providing the exact application of water over the growing beds is crucial,” he states. In 2006, Piccioni Bros. installed a new packaging area for themselves allowing them to continue getting their own self-named brand of mushrooms out to such grocery retailers, such as Fortinos in the Hamilton and Toronto area. In addition to the white-button and brown cremini mushrooms, Piccioni also supplies retail customers with the portabello variety, which Piccioni says is simply a larger, more mature version of the brown cremini with its gills exposed. According to Piccioni, roughly 75 per cent of the mushrooms grown, harvested and packaged at his 71,000-square-foot farm are of the white-button variety, with the brown cremini taking up 20 per cent, and the portabello accounting for the five remaining percent. 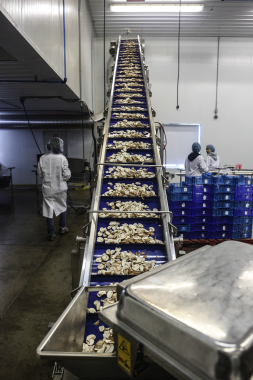 Describing the company as medium-sized relative to other Canadian mushroom farms, Piccioni says the 70-employee company runs the facility on a 24 hour a day, seven-days-a-week, 365-days-a-year schedule. 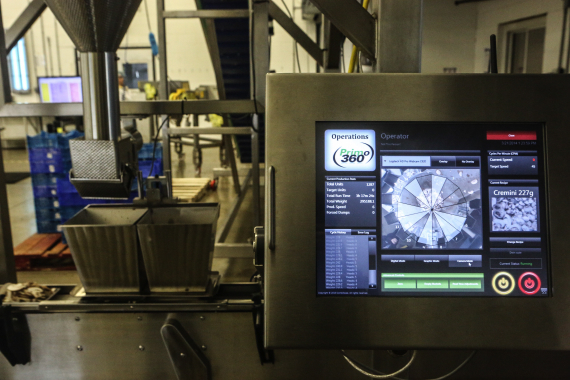 The easy-to-use Primo 360 interface designed by WeighPack Systems allows plant workers to program and store a plethora of package weights and product recipes. Piccioni explains that the compost supplied to their farm is shipped from another facility that they are partners in. The compost incorporates three specific phases of operation before the material is ready to be delivered to the mushroom farm. Phase one is conducted outside in covered buildings called “bunkers”, involving the prepping of the raw materials such as straw, hay and nitrogen sources. Phase two involves the pasteurization and conditioning of the compost, a six-day process which is done within a dark tunnel measuring four by four by 40 meters long. After air is forced up through the compost, it heats the material up to a temperature of 55° to 60°C, before being brought down to 48°C to condition the compost and to get the nutrients to their optimal capacity to promote the mushrooms growth. 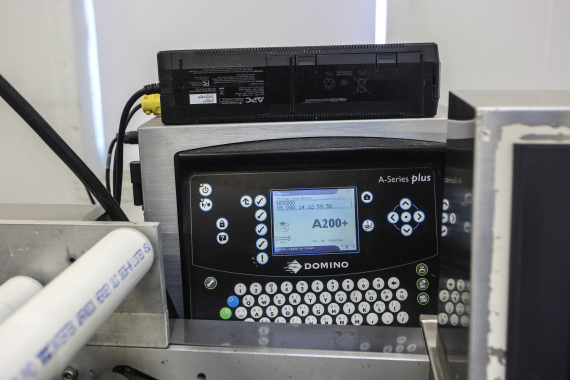 A Domino model A200+ inkjet coder applies best-before and lot-code data onto each tray of mushrooms packed at the Piccioni Bros. Mushroom Farm plant in Dundas. Phase three involves the adding of seed, called ‘spawn’, to this compost. The spawn is evenly spread through the compost and over a period of 14 to 16 days, the mycelium which was inoculated on the grain grows into the compost making sure it has been completely incubated. “It’s actually at this point when it becomes more of a personal operation for us, as we send our trucks there to pick up a whole trailer load of incubated compost that weighs between 28 and 37 metric tonnes,” says Piccioni. During the filling of the compost into the growing room, a peat moss-and-lime mixture is added to the top of the compost pile, providing the essential bacteria, to ‘encourage’ the mushrooms to grow. After being dispensed from the WeighPack PrimoCombi buckets, mushrooms are placed onto foam trays manufactured by CKF Inc. The peat moss is also essential for the fruiting pins to gain moisture by taking its nutrients from the compost. Kept in a temperature range of 24° to 27°C with high humidity, the mycelium thrives in an environment containing a high level of carbon dioxide, which is actually made by the fungus itself as it grows. By day six, a vegetative growth of mycelium has grown into the casing soil, which is when Piccioni says they flush the growing room. “This is where we manipulate the growing room by taking the warm and humid environment and dropping both down in order to cause mushroom fruiting,” says Piccioni, describing ‘fruiting’ as the term given to the formation of the mushroom head. “To ensure we get that perfect growth, we have to take things to another level,” reveals Piccioni, “which means we need an optimum compost, casing layer and environment, in order to get it to produce mushrooms”. As the mushrooms begin to grow, the environment is carefully controlled through all its growing cycle until they are ready to be harvested by hand. As Piccioni explains, the whole process of commercially growing mushrooms is a lot more complex than most people think. “The mushroom business is not one where you can sit back even for a day, less the entire crop fail,” he states. To ensure that there is a constant stream of mushrooms produced at the farm, the mushroom houses are filled on four different days of the week, he relates. Each room produces two flushes in 30 days before they are pasteurized at 70°C for a minimum of 12 hours. The compost is then removed and sent to a garden center nearby, as its growing rooms are washed down and prepped to be filled again. Each one of the growing rooms contains six levels of shelves, so workers utilize hydraulic lorries, attached to the outer railings of the shelves, to harvest the mushrooms. 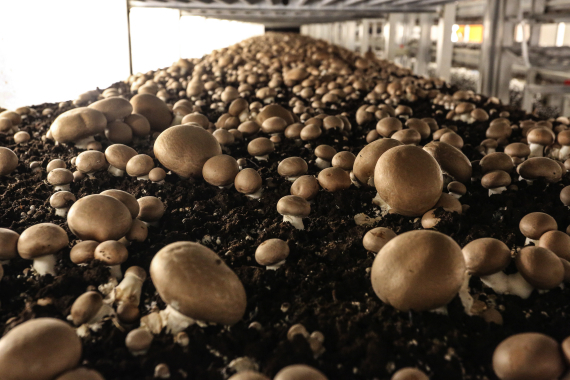 Producing about 41,000 kgs of mushrooms every week, a Piccioni Bros. worker harvests white-button mushrooms in one of the farm’s 18 temperature-controlled growing rooms. With the harvester standing by the controls, they can maneuver the lorrie up and down and side to side to get at the mushrooms. “Instead of having my employees climb up and down a ladder holding onto a bucket and a knife as is still used on some older farms, they can do their harvesting atop the lorries,” Piccioni mentions. “It’s not only safer for them, but it actually speeds up the production,” he states. Immediately after harvesting, the crop is placed in a cooler that keeps them at maximum of 4°C. Piccioni explains that the mushrooms need to stay in a cold environment after harvesting all the way through the packaging process until they are delivered to the grocery store shelves in order to maintain shelf-life and quality. If the mushrooms warm up, they lose their color and soften up very quickly. Piccioni notes that mushroom cultivation is a very labor-intensive process, requiring the use of the best equipment available in the market. This requirement also extends to the packaging of the mushrooms. Piccioni explains that any new packaging equipment purchased must stand up to the exacting rigors of hygiene and food safety standards, while accounting for the fact that the mushroom itself is a very delicate product requiring gentle handling. While the expansion of Piccioni Bros. Mushroom Farm seems to have run at break-neck speed as of late, naturally Piccioni says he and his sister are very meticulous in their capital investment purchases. Each packed tray passes through an IQ³ metal detection system, manufactured by Loma Systems, to check for foreign particles and possible contaminants. “Our most recent technologically-advanced piece of equipment is a weigher that was installed just this past February,” says Piccioni. 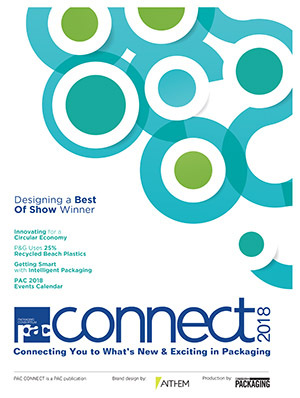 While attending the 2011 PACKEX trade show, Piccioni says he was immediately impressed with the exhibit of WeighPack Systems, Inc. Although there wasn’t an immediate need for Piccioni to add more automation to the plant back in 2011, Piccioni was already planning ahead for just such an inevitability. WeighPack scheduled an in-house demonstration at their manufacturing facility, showcasing the company’s leading-edge PrimoCombi multihead weigher. 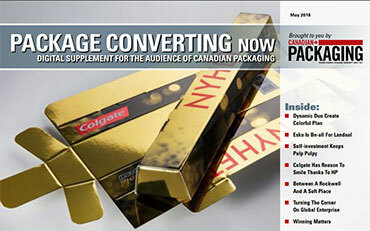 Headquartered in Montreal, the company is well-known as a single-source manufacturer of packaging solutions offering state-of-the-art technology at reasonable pricing, with models designed to suit almost every kind of application or production requirement. 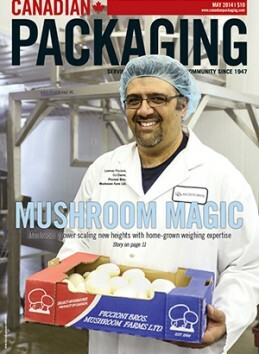 “When Lorenzo Piccioni visited our Montreal office, he brought a lot of mushrooms with him, so that we could run his product on one of our many packaging solutions in order to validate production rates and accuracy,” recalls Weighpack territory manager Mark Conforti. An Omori flowrapper applies film over the sliced mushroom trays at Piccioni Bros. Mushroom Farm. The demonstration left Piccioni highly impressed: “I got to see first-hand, before purchasing it, just how effective this packaging system could be for our production needs,” he recalls. 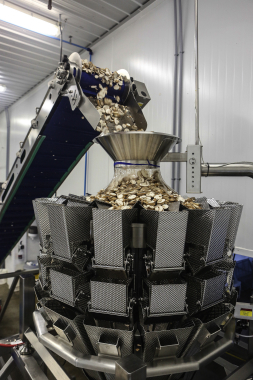 In short order, Piccioni purchased a 14-head PrimoCombi multihead weigher, featuring 2.5-liter buckets, as well as a tray indexing conveyor and an incline infeed conveyor to automatically weigh and fill sliced mushrooms packed into retail trays. According to WeighPack’s Conforti, the PrimoCombi multihead weigher is the first open-frame CAN-Bus-wired combination scale that houses all its electronics within one central electrical enclosure, thereby offering superior serviceability advantages. Featuring Windows PC controls, PrimoCombi users can work with Crystal Reports, Skype and LogMeIn.com to access free online support and other technical assistance. For Piccioni Bros. it was important to have the PrimoCombi work at a minimum rate of 40 trays per minute, but also to have the spare capacity to increase its speed up to 80-trays per minute. WeighPack service supervisor Paul Anderson also adds that the production speed was actually only one key feature that Piccioni demanded. 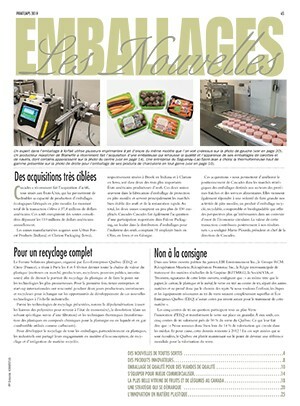 “WeighPack designed, engineered and manufactured this PrimoCombi packaging system to operate at their requested parameters, but Piccioni was adamant that the line be designed with product safety in mind, including minimal drop points and softer transitions to help eliminate product bruising,” he relates. Anderson explains that generally food items of a more solid density are easily checkweighed by WeighPack equipment within the various buckets before being dropped down into a bagger for packaging. 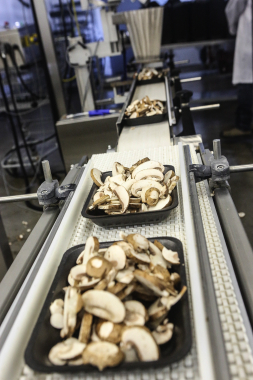 With mushrooms being a delicate product, a gentle touch is required and supplied by the WeighPack Systems’ conveyors and the PrimoCombi weigher. But with product bruising in the mushroom market a big turn-off, the system had to accommodate a softer drop point and to meet higher sanitation expectations. 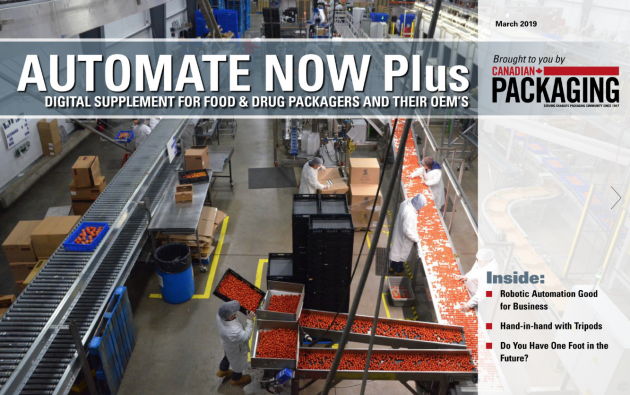 To achieve that, WeighPack utilized an incline infeed conveyor that was specifically designed to provide easier access when cleaning. “To save time and effort when cleaning, we designed the conveyor so that the entire polyurethane infeed belt could be easily removed by the operator without the burden of tools,” says Anderson. Anderson adds that providing customer support after sale is one of WeighPack’s core values. “Customer service support has always been our focus, offering our customers free online support through our leading-edge Windows PC operating system,” says Anderson. “This provides customers with quick and effective support,” he says, adding that in regards to the Piccioni project, everyone had a good vibe right from the onset. “I genuinely appreciated working with driven and passionate entrepreneurs like Lorenzo and the entire Piccioni family; it was a true partnership throughout each step,” says Conforti. Piccioni agrees: “The PrimoCombi has been working very well for us. 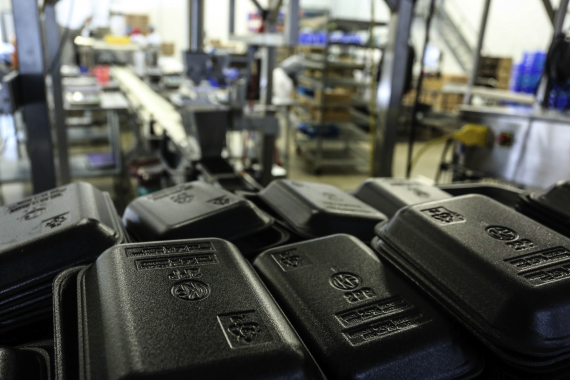 “I have zero complaints with the machine and zero complaints with the folks at WeighPack,” he extols. “They have been very easy to work with in ensuring I have a machine that does exactly what I require it to do,” he states. After the sliced mushrooms pass through the PrimoCombi, the system deposits the proper weight of product onto the foam trays. Made of 25-per-cent recycled material, the trays are manufactured by CKF Inc., and are sold to the farm via GT French Paper Ltd. Founded in 1933, CKF is a Canadian family-owned company. The manufacturer specializes in quality molded pulp and foam products for consumer, foodservice and retailer markets across North America. “It was in 2003 that we became more automated in the way we ran our production and packaging departments, first purchasing an overwrap machine, then a mushroom slicer, and then a multi-lane slicer,” Piccioni recalls. 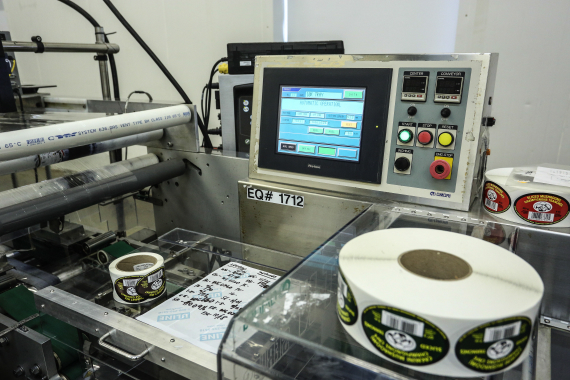 • labeling equipment from Elmark Packaging, Inc.
• film for the trays manufactured by AEP Film, supplied by GT French Paper. 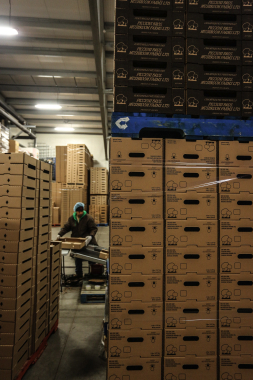 Perched atop CHEP pallets, Piccioni Mushroom Farm utilizes corrugated cartons manufactured by Rock-Tenn to ship its product to a fast-growing customers base. “The mushroom industry is a lot of work,” Piccioni asserts. “Not only do you have to be vigilant for keeping an eye out for disease, but it’s not really a high-end crop that brings you great riches,” Piccioni relates. Piccioni remarks that sustainability is quite high on the list of priorities for the farm, noting that it uses a lot of waste products to grow the mushrooms. “Even after we are finished growing the mushrooms, we still have the compost remaining that it was grown in,” notes Piccioni. “So we take it and sell it to landscapers and they can use it in their triple mix gardening soil,” he points out. Always looking to expand the business, Piccioni says that after the next six growing rooms are completed by August, he might be able to relax for a day or two.